Fits over flat channel to connect two lengths together horizontally at right angles. Internal rectangular connection 110 x 54mm to fit 110 x 54mm o.d. ducting. 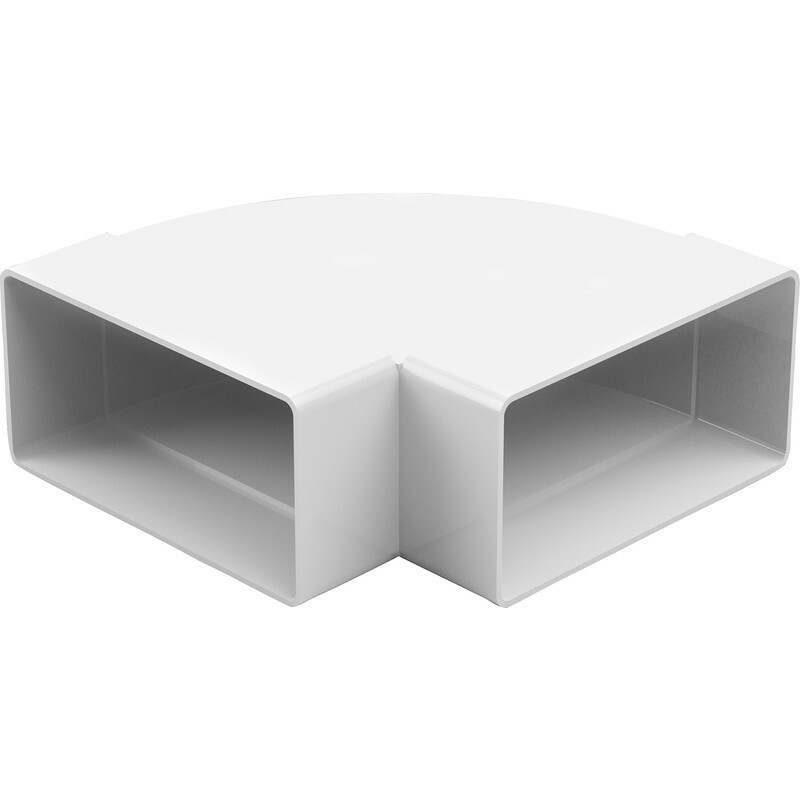 100 Ducting Bend 90° Horizontal 100mm is rated 5.0 out of 5 by 2. Rated 5 out of 5 by stardust from Ducting Bend 90° Horizontal 100mm great bend, quite handy for confine space. Rated 5 out of 5 by DJdiy from Great Needed to upgrade ducting for my dryer outlet,so bought this ducting bend with a couple more ducting bits,great prices.